Plugins usually need to have a way to add controls (i.e. 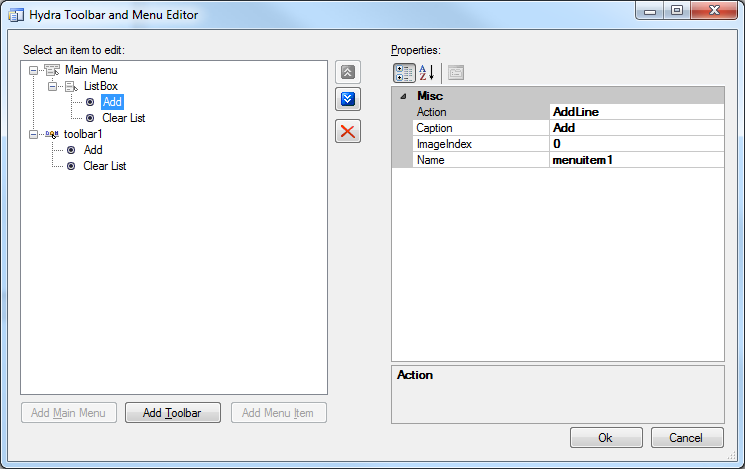 menu items or toolbars) to the host in order to let the users access functionality. Hydra introduces a set of interfaces and components that provide you with this capability, thus allowing you to extend your host's main form easily. Support is provided for the most commonly used component sets: Standard VCL, ExpressBars and Toolbar2000. ToolBar2000 - these products are not shipped with Hydra. Also, please note that components that use ExpressBars and ToolBar2000 don't install automatically, so in order to use them in your projects, you have to compile and install them manually. You can find the corresponding packages in the directory with the Hydra sources, they are named Hydra_DX_D*.dpk and Hydra_TB2K_D*.dpk. 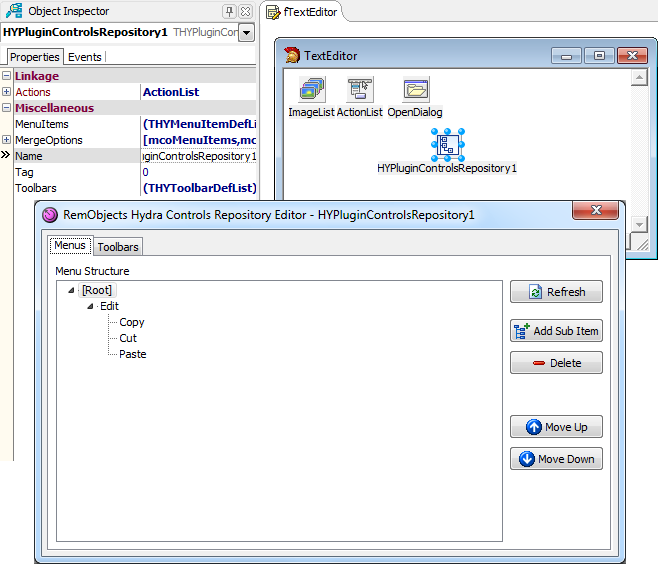 Hydra introduces six components to work with the host user interface. You can see them in the screenshot below. 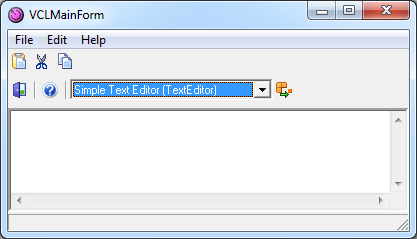 There are six menu and toolbar controllers for the different component sets (VCL, ExpressBars and Toolbar2000). These components are used in your host application to build menus and toolbars. 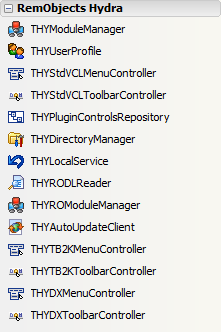 The Hydra module manager now has two properties: MenuController and ToolbarController. Above, the module manager is connected to components that support ExpressBars, but it could also be hooked up to similar components for ToolBar2000 or the standard VCL out-of-the-box. The fifth component in the palette is the "Plugin Control Repository", which you will use inside your visual and non-visual plugins. 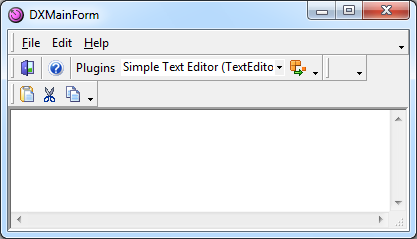 The purpose of this component is to store the definition of all the menus and toolbars you want your plugins to create. 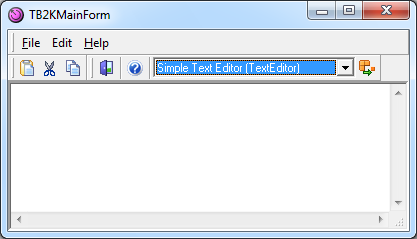 When you double-click on the component, an editor will be displayed and you will be able to define your menu structure and toolbars. 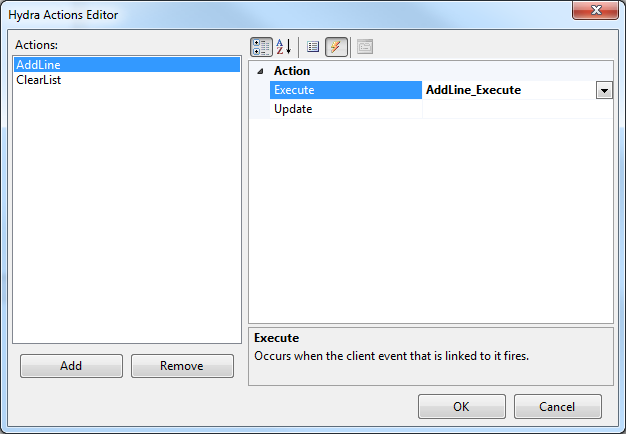 The "Actions" demo that comes with Hydra provides a good showcase for the new user interface functionality. It includes three main hosts built with the different component sets we support (VCL, ExpressBars and Toolbar2000) and just one plugin, which is capable of working with all of them without being aware of the controls used in the host. This is a great advantage, especially for non-visual components, as it does not force you to bind your DLLs to more BPLs than strictly necessary. The other plugin included in the UI demo does all the work of adding menus and toolbars through code instead. While it's most likely that people will only add new menus and toolbars and won't need to use code like this, we wanted to demonstrate how flexible Hydra can be, if needed. Once we have created menus and toolbars, we also want to be sure that we can easily destroy them when the plugin gets unloaded. If you look at the code above, you will notice the BeginUpdate and EndUpdate blocks, which take a parameter of type GUID. 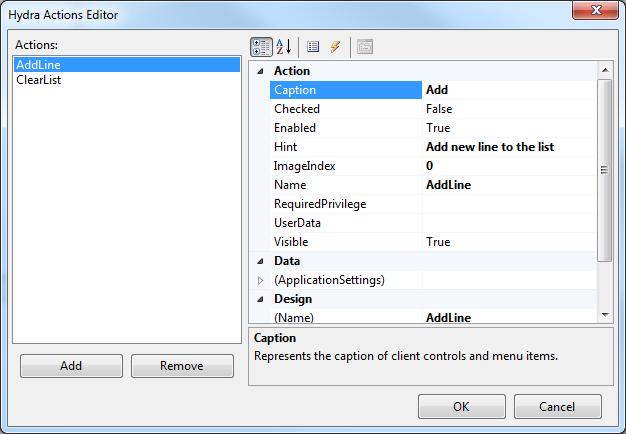 This ensures that all the controls added to a menu or toolbar controller are collected in a list indexed by that ID. Both Visual and NonVisual plugins provide an ability to define a set of actions as well as toolbar and menu items that will automatically be loaded and displayed by a Delphi host application. Both menu and toolbar do not have separate properties (except for submenus, which can have a separate Caption) or events, they will take all the information from the action that is linked with the item. The last property is the UseLegacyActions. This property can be used for backward compatibility with an old actions handling mechanism. Old mechanism will only pass a limited set of properties to a host application, and actions execution must be handled in the Plugin's ActionExecute event handler. Note: UseLegacyActions is disabled by default, so if you are migrating from a previous version and you don't want to rewrite your actions handling code, you will need to set this property to true or your actions handler will not be executed by the host. Also, you will need to enable this function in case you have a host that was build with a version of Hydra older than Spring 2011. This article has provided a review of one of the exciting features provided by Hydra. 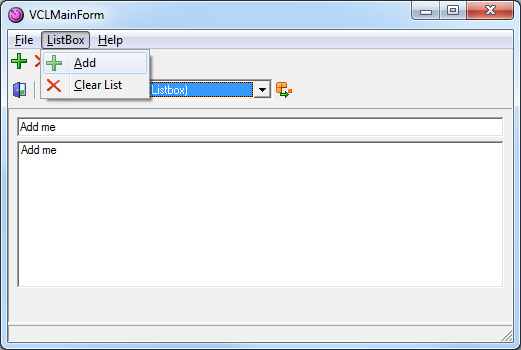 The menu and toolbar support provides visual support and significantly reduces the coding needed. Also, removing the plugins' dependence on the menu/toolbar system used by the host is a very useful feature. Another point, which might not be obvious, is that code provided by the plugins for menu systems can be used in the host itself. Finally, we believe the menu/toolbar support Hydra offers is the best approach to customization available at the moment, especially with the ease in which plugins can modify the host's menu system.